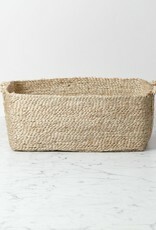 Handwoven, heavy duty jute baskets perfect for storage throughout the home. The material is hardworking and durable, but still soft and flexible, and fits into any design scheme. 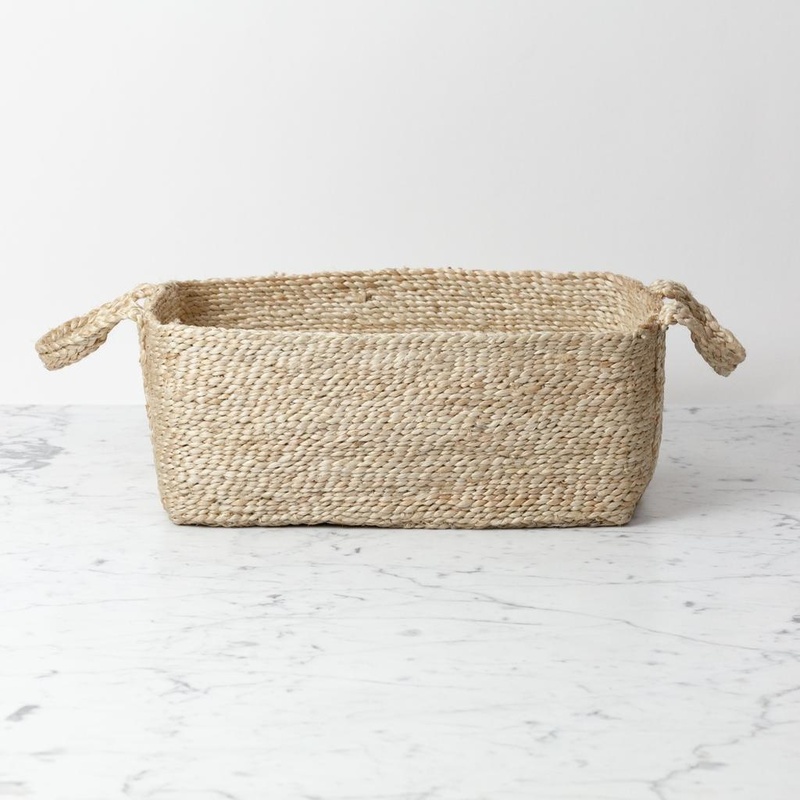 Each basket varies in size due to handmade quality, but they are all approximately 15” long, 5” tall with a 7” deep.